The Movement for the Actualisation of the Sovereign State of Biafra has disagreed with the Indigenous People of Biafra over whether elections should hold this year in the South-East and other parts of the defunct Republic of Biafra. The outlawed IPOB, led by Nnamdi Kanu, has been insisting that the elections will not hold in the concerned areas, particularly the South-East states. But after a ‘National Executive Council meeting’ in Enugu on Friday, MASSOB declared that the scheduled elections would take place in ‘Biafraland’. MASSOB, which stressed that it would not back down from the agitation for a sovereign Biafran state, noted that pro-Biafra activists could not ‘forcibly’ impose their interests on the people of Nigeria. According to the group, southeasterners who believe in Nigeria are free to participate in the elections. A statement signed by the National Director of Information, MASSOB, Comrade Samuel Edeson, disclosed that the executive council meeting, which held at Awgu, Enugu State, was chaired by the group’s leader, Uchenna Madu. Parts of the statement read, “The leadership of the Movement for the Actualisation of the Sovereign State of Biafra, after a National Executive Council meeting presided by our leader, Uchenna Madu, at our headquarters in Awgu, Enugu State, which was attended by all the local government area, state and zonal coordinators, as well as national directors, unanimously agreed and declared that this year’s general elections of the Nigerian state would not be stopped or boycotted in Biafraland. “MASSOB, having realised that Biafrans cannot forcibly impose our desires and interests on the people of Nigeria, and also in line with the principle of non-violence, unanimously agreed and resolved that the Nigerian state will conduct its political exercises, including general elections. “The Independent National Electoral Commission will be allowed to conduct elections in Biafra for our people that still believe in the Nigerian state. “Nigerian elections will come and go irrespective of whoever wins at both national and state levels but we must continue with the struggle for the actualisation of Biafra despite internal and external distractions.” Apparently referring to IPOB, the statement noted that Biafran agitators who wish to boycott the polls were free to stay at home on election days, without disturbing other members of the public who might wish to partake in the exercise. “MASSOB advises that other pro-Biafra groups that planned to boycott the elections are entitled to stay at home during elections days. 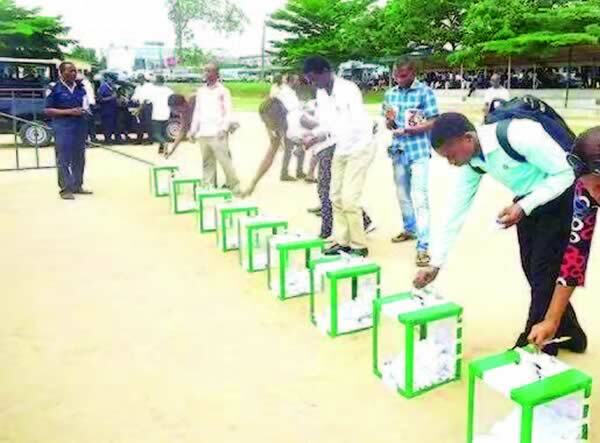 “Our people that still believe in the Nigerian project are free to participate in the electoral processes of Nigeria, including this year’s elections,” the statement said. MASSOB added that it was committed to the actualisation of the Biafran state “through the principle of non-violence and international diplomacy in collaboration with other progressive pro-Biafra groups”.